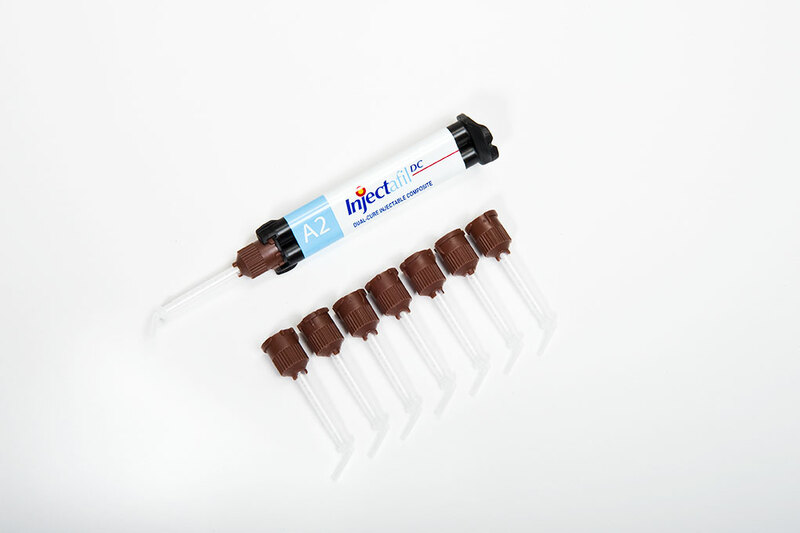 Injectafil Dual-Cure Injectable Composite | Apex Dental Materials, Inc.
Injectafil is a dual-cure composite with handling characteristics ideal for all Classes of restorations. Injectafil has been formulated to begin to gel after 40 seconds and completely cure in under 2 minutes. The ability of the material to cure over time (45 seconds) allows the material to compensate for and diffuse all stresses related to shrinkage. Other bulk fill materials utilize an instantaneous light activation mechanism, which imparts all shrinkage to the restoration immediately, leaving the tooth, adhesive, and polymerized composite material sharing the shrinkage stresses. 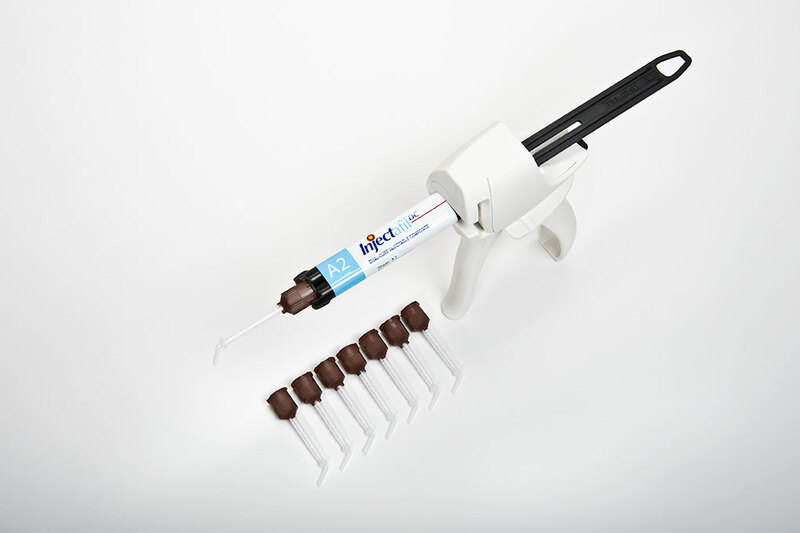 Injectafil’s unique design forces all the contraction during curing toward the tooth (directed shrinkage), which eliminates marginal gaps that lead to leakage and secondary caries. With a high level of wear resistance and color stability, Injectafil is the bulk fill material you need to ensure long-term success. Bulk Fill Composites: Good or Bad?